The question often arises, “if I am in a casino, and I get attacked, can the casino be liable?” That question, like other questions related to personal injury and negligence, is not a simple one to answer. Determining negligence is a fact-intensive inquiry, meaning that often whether a party is liable will hinge on a careful analysis of the facts—facts that may not be available to the parties without engaging in the discovery process. If you’ve been attacked at a casino (or any other property), the analysis requires a knowledge of premises liability law, which is a subset of negligence. In Nevada, to prevail on a theory of negligence, a plaintiff must prove that the defendant owed a duty to the plaintiff, breached that duty, and that the breach of duty was both the actual and legal cause (or proximate cause) of plaintiff’s damages (or loss). Perez v. Las Vegas Med. Ctr., 107 Nev. 1, 4, 805 P.2d 589, 591 (1991). Although premises liability cases arises most often for slip-and-fall and trip-and-fall cases, the central inquiry is not whether someone injured from falling, but whether someone as injured as a result of a dangerous condition. Generally, a landowner is liable for injuries incurred by invited guests if they are injured by a dangerous condition on the premises that the landowner either caused, knew about, or through the use of reasonable care should have known about. Sprague v. Lucky Stores, Inc., 109 Nev. 247, 250, 849 P.2d 320, 322 (1993). In a more recent case issued in 2002, Canterino v. Mirage Casino-Hotel, 118 Nev. 191, 192, 42 P.3d 808, 808 (2002), the Nevada Supreme Court considered an appeal in a case where the plaintiff sued the Mirage Casino-hotel after he was robbed and beaten while on the premises. The jury awarded him $5.5 million, and the district court reduced the award to $1.5 million, finding the award excessive. The issue on appeal was not whether the plaintiff had a right to recover from the casino, but whether the court erred in reducing the award. Thus, there is a history in Nevada of recovering for injuries due to inadequate security. However, the facts will ultimately determine whether the casino may be liable. What were you doing when you were attacked? Where on the property were you? What were you doing? Has anything like this happened before? What time of day was the attack? Was there adequate lighting? Was the attack personal in nature? Some of these questions you may have the answer to. Others will require getting information from the landowner. Whether you can hold the landowner responsible will ultimately come down to what the facts reveal related to questions like these. 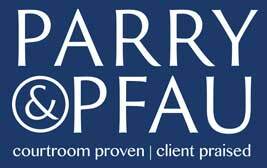 If you’ve been injured while at a casino, a night club, a supermarket, or any other business establishment, and you believe your injuries could have been prevented had the owner had adequate security, contact an attorney at Parry & Pfau to discuss your options. Newer PostIs it Legal to Marry Yourself?